Getting a picket fence installed around your home can be a great way to ensure that you have more privacy at home and a way keep your dog contained in the yard. If you want your dog to enjoy spending time in your front yard and are interested in picket fences, you’ll need to take some time to look into what qualities make a picket fence a great choice. The distance between the posts can make a big difference in how secure your front yard will be for your dog. Some smaller sized dogs could squeeze through the posts, depending on the distance between them, making it important to take measurements of your dog’s head so that you can select the right fence for safety reasons. Since it’s possible your dog will relieve themselves near the fencing, you need to make sure that this won’t damage the fencing at all. The easiest way to do this is to get a wood picket fence and make sure that it’s been sealed properly. This can also be useful for preventing damage from any kind of exposure to moisture. When choosing a picket fence for your yard, you need to make sure that your dog won’t be able to scale it. Avoiding fencing that’s too short can ensure that your dog won’t be able to simply hop over and escape. 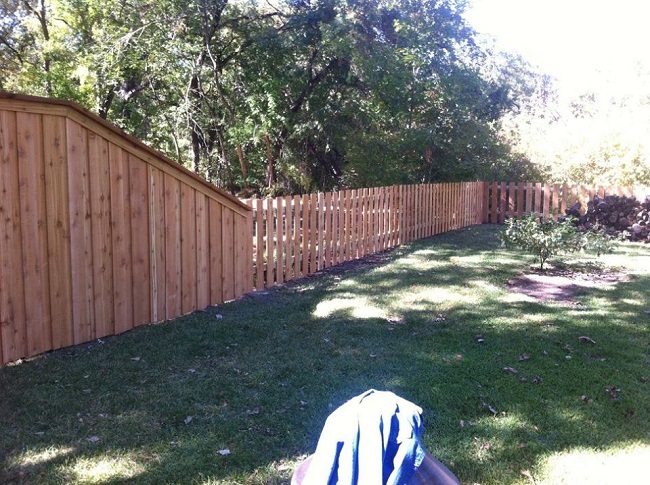 Contact us if you’re curious about what else to look for when getting a picket fence for your yard.